Plot has to involve the main character working through a series of tries/events to solve the problem, challenge or quest. Each of the tries needs to increase in difficulty. Emotion binds your main character and the reader. No one else can solve the problem for the main character. The main character has to grow in wisdom and strength in each of the failed tries leading the character to a believable solution. Plot is the main body of your story using up approximately ½ to 2/3 of your text. Be sure to review your plot basics when writing! Every plot for me begins with a WHAT IF…? One idea and my brain is off to the races. OFF TO THE RACES…. A kid who loves racing what a great idea if I only knew something about horses, or racing, or liked horse stories. But I don’t. And Black Beauty is still a classic. So that is not my WHAT IF. But what if you are driving along through Ohio farm country with your writing partner and you see a bunch of pigs piled on top of each other and one of you says, “What do you think that pile of pigs is doing?” WHAT IF…? And the book A PILE OF PIGS is born. For as long as I can remember, my friend Judy and I have been writing partners and conference buddies and Co-SCBWI RAs, RACs, Board Members, lecturers,teachers, editors, and anything else ones writing life provides. So “what if” people all over the world start calling you the bad babies… WHAT IF…? And the book THE TWO BADD BABIES is born. What if you need a plot? Grab your characters, look at their problems, then “what if” all possible solutions. And you, too, may soon have a book in the works. You want to give your readers some surprise. It is easy to fall into cliched plots. Make sure you put an original spin on your story. What happens and why it happens can make your plot original. As a writer, you’ll find your best story path. Some writers do a lot of preplanning: chapter outlines, character interviews, and detailed research. Others dive right in from the moment an idea hits them. There is no right way to write. But, if you are starting out, preparation can give you confidence that you’ll be able to get from the first word to “the end.” That means figuring out ahead of time what happens to the characters in your story and that’s called plotting. A plot involves jeopardy for your characters, hard work on their part to move ahead as they struggle to solve a problem, and more jeopardy. Each move your characters take triggers additional moves and additional problems as a result of those moves. You’ll need action to generate drama, and conflict to build tension and keep the reader turning pages. So, if you plan, plan, plan you won’t have to plod, plod, plod, and you’ll be confident that you are off to a good start with your plot, plot, plot. One warning: characters get stubborn and have opinions. It IS OKAY to change your plot as the story develops. 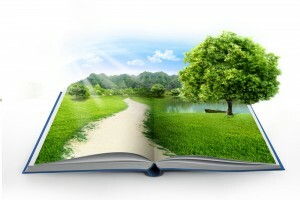 Nothing is permanent until the book is printed. This entry was posted in How To by Judy. Bookmark the permalink.